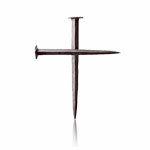 “Nail Cross” is designed to emphasize and illustrate the words of your next sermon message. 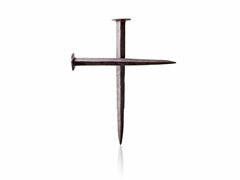 Use this design as a stand-alone presentation set or incorporate this image into a complete customized campaign. Use your sermon title or other text to create banners, backdrops, bulletin shells, postcards and more for a complete church-wide experience. Comes complete with the primary image plus pre-built composition slides for easy customization, for a total of 5 slides. Each slide is 1,024 x 768 pixels, and comes standard in both PowerPoint and JPEG formats. Includes the standard non-commercial presentation license. 4.6 MB download. Your soft-edge graphic will allow you to easily and seamlessly integrate this image into any template. 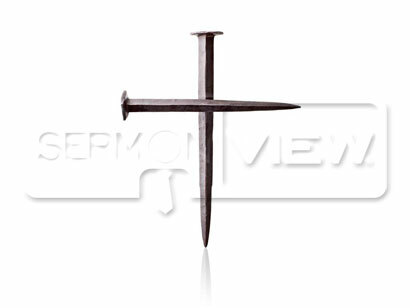 Perfect for churches who use a standard background or need design flexibility for an upcoming project. 1024 x 1024 pixels, PNG format. Includes the standard non-commercial presentation license. 145.2 KB download. 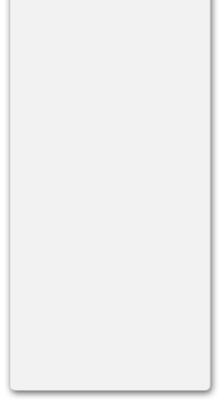 This file is 1800 x 1800 pixels, in the highest quality JPEG format. This item includes the core art at medium resolution, without any of the additional compositions found in the presentation slide set above. Includes the extended license for wider usage. 115.3 KB download. This file is 6000 x 6000 pixels, in the highest quality JPEG format. This item includes the core art at high resolution, without any of the additional compositions found in the presentation slide set above. Includes a full commercial license. 1.2 MB download.